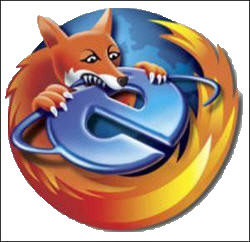 Did you read about the Internet Explorer hoax? Where IE users where made to be less intelligence than those who used other browsers? The post when they understood it was a hoax. The NextWeb interview with the group behind the hoax. There are several issues here; one is the fact that respected brand like BBC posted the story at all. Another is the fatigue even experts have when it comes to commenting on online articles. There are three kinds of people out there. Those who really know something about a subject, those who claim that they know something about the subject and those who want to know something about the subject. There was a short post named “Advertising vs. PR: How to measure the value of editorial coverage” on Regan.com in the beginning of April this year. The post was a tribute to the use of AVE as a good measuring of PRs ROI. I honestly think that the only reason why this post got so many comments was not the content of the post itself (most enlightened people would just laugh reading it and move on), but because of the first comment. The first comment was from a student and included the sentence: “I have been taking PR and Ad classes for 3 years now, and this article has taught me more than most of my professors have”. It really has to do with trust. When a respected provider like BBC or Ragan (PR Daily) run an article you often have enough respect for the brand/publisher that you tend to trust the content. This is of course the first mistake you do…. When a scientist publish a paper many others in the field attacks the research with different views. And it’s only when you read them both you get an accurate picture to help you make up your mind. Simple but true. If you get the feeling that something is missing or not right, it’s often the case. Is this an old post or is it reasonable new? In a field like marketing things have a way of changing rather fast. 5. What is the target group for the post? Where was the content published? A personal blog or was it posted on a webpage for SMB marketing? The more comments the better. Again you should use time to check the background of the one who posts the comments. There are so many posts, even within a narrow field, that using time reading them and commenting is overwhelming. So even if you do not agree with the post you probably won’t post a comment about it. The fright of getting attacked for posing an alternative view. Most of us prefer to be liked so exposing our self to an attack because of something we write is not our first priority. We are unsure about our ability about the topic. There are few real experts out there so we get reluctant to post a comment because of our fear that we do not know enough. Well, first of all… Don’t take my word for it! There is tons of literature out there about how to search for information with a critical sense. Most Business schools and universities have short courses about how to do it. This entry was posted in Trends and tagged AVE, Commenting, critical mind, fatigue. Bookmark the permalink.